The most historic stand at Rodney Parade, on the same side as the home and away dugouts. The one you will remember from TV! Fully covered so you’re safe from the elements! Traditionally the loudest part of the stadium and home to our most passionate and vocal fans. Young children may find the atmosphere a little rowdy. Our cheapest ticket in the house and behind the posts! Easy access to the main entrance and Fan Zone. This terrace is open so come prepared for all weather conditions. Close to where the players warm up pre-match. Behind the try line and close to the tunnel where the players run out. Often the place where our Community clubs are found. The newest stand that opened in 2011 with the best seats and facilities at Rodney Parade. 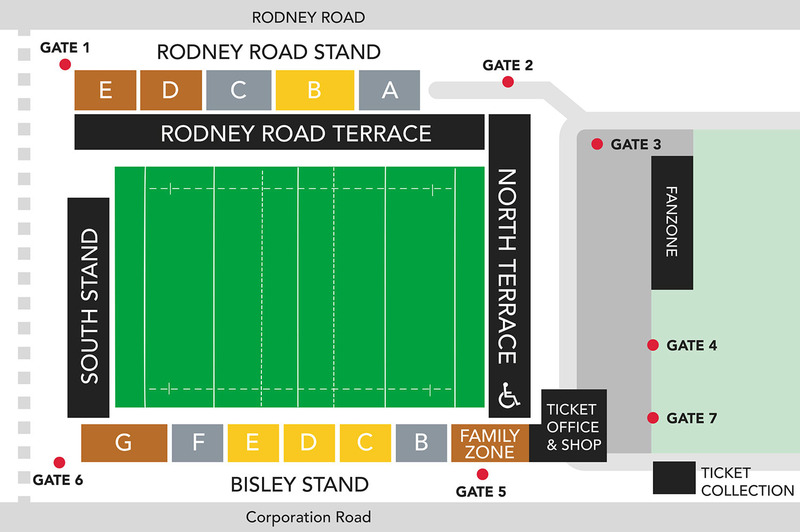 You are the same side as the hospitality areas and close to the always popular Rodney’s Bar, as well as concourse bars, catering and toilet facilities. The Family Stand is the place to be for all families and junior supporters and close to the club shop, Fan Zone, refreshments and main reception.